Find out about the different pension options and how they affect you. It is common to think that a pension is only for the older generation. But in fact planning a pension is something that should be done when you are young, and the younger it is started, the more money you will have to enjoy during retirement. 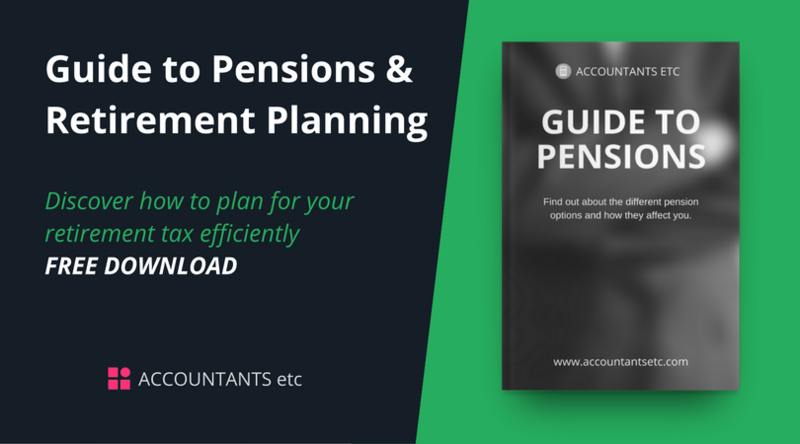 As a contractor, a pension offers substantial tax breaks enabling individuals to maximise their tax allowances. We have put together a simple guide to help you understand everything you need to know about pensions. A final salary pension is a scheme typically offered by employers, although it is becoming less common for companies to offer this option. These pensions, also known as defined benefit schemes, promise to pay out a proportion of your salary, as an income, when you retire. A distinct difference between this type of pension and defined contribution pension is that the amount you will receive in retirement is pre-determined. The money paid in to a final salary scheme is put together with the funds contributed by other members, which is then invested where the employer sees fit. Even if the investment does not perform well, members of the scheme are protected as the company is liable to make up any shortfall. Money purchase pensions, which have become the most common type of pension option available, can also be referred to as defined contribution schemes. Unlike defined benefit schemes, it is more difficult for individuals to assess the level of income they will receive from their pension. The funds deposited in to a money purchase pension will be invested in order to provide a fund on retirement. It is a tax efficient form of saving as you will receive tax relief on contributions paid in. The way you receive tax relief will differ depending on the type of scheme you have. There has been an alteration in the law to address the huge percentage of adults in the UK without a pension. By 2018, every employer will have to offer their employees a pension scheme, in which they must contribute to. As the name suggests, every employee will be enrolled automatically, and it will be up to the individual themselves if they wish to opt out. The Government has set minimum levels of contributions that must be paid in to the workplace pension by the employee, and the employer. These levels are based on a percentage of qualifying earnings, meaning the more you earn, the more you and your employer deposit in to the fund. In addition the Government will give tax relief on all contributions. If you are a one-person company. If there is more than one director, for example contractor and their partner, but they do not have an employment contract. If you already have a qualifying company pension scheme. If you have been considering different ways to save for your future, it is worth looking in to a pension because of the huge amount of tax you could save. The Government wants to encourage individuals to save for their retirement, so offer tax back on money that goes in to a pension, up to limits. Everyone is entitled to tax relief on their private pension contributions, but the way you receive it will depend on your pension scheme. In a workplace pension your contributions are likely to be taken from your pre-tax pay anyway but if you deposit money yourself, the Government will automatically add 20% to repay your tax. As a higher rate taxpayer you will be entitled to claim back an additional 20-25%. This can be done in a self-assessment tax return or by ringing Her Majesty’s Revenue and Customs. Example: If you were to contribute £8000 from your take-home pay in to your pension, the Government would then add £2000. Your total investment would be upped by £10,000 because this is the amount you would have earned before tax was deducted. If you are a contractor operating through your own limited company you can redirect part of your gross income straight in to your pension. This way you will save substantial amounts of both personal and corporation tax. Let’s say you are a higher rate tax payer, and you have £100 of company income that you are deciding whether to deposit it to your pension, or take it as a dividend. Pension: If you put the £100 in to your pension fund, the whole amount will go in, with the chance of growing. Dividend: If you take a dividend payment, you would pay £20 corporation tax and £20 personal income tax. Leaving only £60 to take home. Unfortunately, there is no easy answer to this question. It depends on many variables such as your age, income, circumstances, retirement plans and so on. However, a financial adviser will be able to help you answer some of these questions and work out how much it is you need to save to fund your lifestyle, whether it is achievable, and if not, what alternative options you have. One key thing to remember is that regardless of your situation, saving something is better than nothing. There are many websites out there that tell you how much you should be saving, but for many individuals this just isn’t achievable, especially if you are a contractor. There are going to be periods in your life where you are out of work and do not have enough money to put away. It is far more sensible to work out how much you can realistically afford. Sort out your finances – Before starting up a pension, ensure your other finances are in a healthy state. Start saving ASAP – If you set up a pension sooner rather than later it means your money will be invested for longer, earning you more tax relief and more return. Review regularly – Spend time looking at the amount you are contributing and increase it when you can. Maximise your options – Take advantage of any company pension schemes offered by employers. They will deposit money each month on top of what you do. Are pensions really worth it? It is a common misunderstanding that pensions are not worth the hassle. But in short it is just a tax free opportunity to save money for your later years. There has been a lot of negative reporting surrounding pensions, but in reality the number of people who have lost their retirement savings is minimal. One risk comes from the investment choice, but there are lots of different investment options to choose from including cash, shares, commercial property etc. Financial advisers are authorised to give advice and recommend suitable pensions products and investment options, for you. It may be a topic that we don’t wish to think about, but have you wondered about what happens to a pension when you pass away? If you were to die before retirement, anything in a money purchase arrangement will be returned tax free to your beneficiaries as a lump sum. How do I get my money out when I retire? It is important to realise before opening up a pension that the money you deposit cannot be accessed again until you are at least 55 years old. With certain schemes there are a couple of extenuating circumstances which allow you to withdraw before this age, but it is advised to take financial advice before making this choice. The new pension freedoms, introduced in April 2015, allow individuals that have reached 55 to access their pensions in any way they wish to. As money can be withdrawn in any quantity and at any time, you can use it to top up your salary, or to retire early. If you do decide to take an income from your pension, the amount you take does not need to stay the same throughout your retirement. You can vary the amount that is withdrawn while the remainder will stay invested. The rules enable you to withdraw the first 25% of your pension pot tax free, while the left over 75% will be taxed as income at your current rate (20% for basic rate taxpayers or 40% to 45% if you are a higher rate taxpayer). There are no savings that are entirely risk free, but the government has introduced a number of controls which minimise risk. As a result, your pension pot is much better protected than it has been in previous years. How your pension is protected does depend on the type of scheme. Although below will give you an idea of pension protection, it is important to check with your provider as each product varies. In a defined contribution scheme your employer will choose where your money is invested. If your employer was to go bust, your money will be safe as it will be your pension provider that is looking after the fund. If your pension provider was unable to pay your pension (assuming that they are authorised by the Financial Conduct Authority), you will be entitled to compensation. If you have a trust-based scheme and your employer goes out of business it is likely that your pension fund will be reduced. Essentially the schemes fees are paid by members and not the employer. In a defined benefit pension scheme, you will have been promised a certain amount every year in retirement. Your employer has the responsibility of ensuring the scheme has sufficient money to pay their employee’s pensions. They are not allowed to go in to this fund if they run in to financial difficulties. The Pension Protection Fund will protect you if your employer is unable to pay your promised pension. If your workplace pension becomes the victim of fraud or theft, the Pension Protection Fund should be able to help recover some of the money. Take your time finding out as much information as possible before making a decision. Make use of comparison websites to compare providers and products. If you want more information about any product, you can request a key facts document from the provider. Before making a commitment, ensure the contributions are affordable. As a contractor, you will have an irregular income, make sure that you are able to change how much you pay and when. Take notice of all charges and fees that you might be liable for. This includes admin fees, transfer fees, missed payment penalties, and withdrawing your pension early. Get advice from an experienced financial adviser that understands the way you work. Charges on pensions and investments have changed in recent years under the Retail Distribution Review, and as a result advisers are no longer allowed to take commissions for offering certain products. The reason for this was to ban any bias in sales. Consequently, the products that are recommended by a financial adviser are more likely to be the best for your circumstances, rather than the best for their pockets. Financial advice is going to cost you as a financial adviser will charge a fee for their services. But although you might feel reluctant, the advice is worth it as you will be making life- changing financial decisions. Getting it right first time will save you money in the long term. Often the initial consultation is free of charge but a fee will be charged further down the line. The amount you must pay should be made clear to you before you commit.